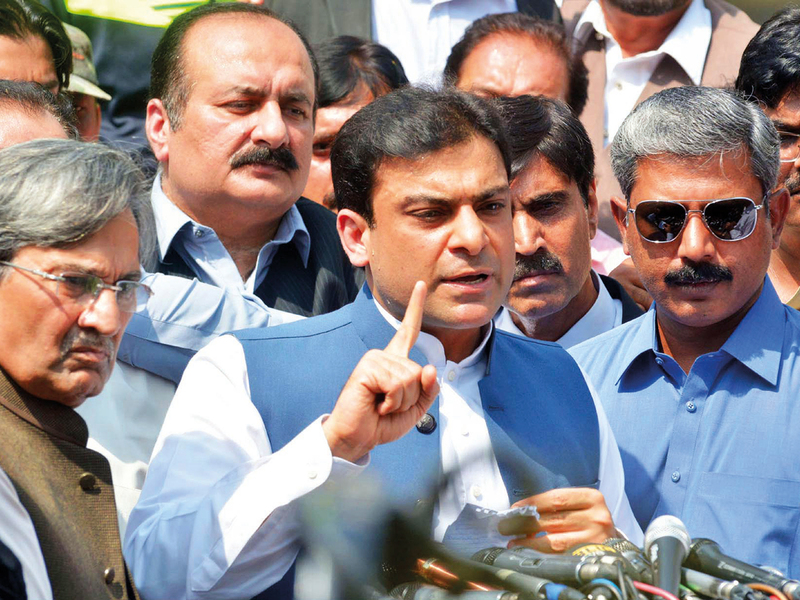 Lahore: A Lahore High Court division bench on Monday granted interim bail to Pakistan Muslim League-Nawaz (PML-N) leader Hamza Shehbaz till April 17 in the assets-beyond-means case. The bench, comprising Justice Malek Shahzad Ahmad Khan and Justice Mirza Viqas Rauf, directed Shehbaz to submit a surety bond of Rs10 million for the interim bail. Shehbaz along with his counsel was present in the court. The National Accountability Bureau (NAB) prosecutor told the court that there were three cases against Shehbaz, including assets beyond means, Saaf Pani and Ramzan Sugar Mills. The prosecutor said the Bureau wanted to arrest him in the assets beyond means case, while no arrest warrants had been issued in the other two cases as yet. Advocate Azam Nazir Tarar argued on behalf of Shehbaz that his client approached the court on November 1, 2018, for bail but his petition was disposed of after the Bureau told the court that it did not want to arrest Hamza as yet. However, the bench had ordered the Bureau to inform the petitioner at least 10 days before it wanted to arrest him so that he could approach the court for remedy, he added. He said the Bureau violated the court directions and raided his client’s house to arrest him, but could not effect it due to protest of PML-N party workers. He said all allegations against his client were mala fide and requested the court for the bail. But, the NAB prosecutor argued that the Bureau was not bound to inform the petitioner in advance, as per a Supreme Court judgement and all the steps were taken by the Bureau in accordance with the law. He alleged that the Bureau had detected an illegal transaction of Rs3 billion in Shehbaz’s account and it was feared that if he was granted bail then the witnesses would be threatened and record could be tampered with. He pleaded with the court to dismiss the bail request. However, the bench after hearing the initial arguments granted interim bail to Shehbaz till April 17 and sought reply from the Bureau at the next hearing. How popular is TiKTok in UAE and why did India ban it?